We also specialize in made ups articles like Bed sheets, fitted sheet, Duvet, Duvet Cover, Pillow Cover, Comforters, Quilts, Curtains, Mattress Protector, Dohar. We have facilities for Flatscreen printing for panel prints, rotary for smaller prints and digital printing for superior print results. We sell made up articles to retailers, mail order companies & hotels. Fabric quality which we are using for fabric & madeups is 100% cotton sateen & poly cotton sateen 300tc, 210tc, 400tc, 350tc, 600tc, 800tc in plain & stripe , 100% cotton flannel, 20×20/60×60, 30×30/76×68, 180 To 220tc Percale, Yarn dyed, cotton seer sucker, Duck, canvas, voile, cambric & Twill. Jindal Worldwide Ltd is listed in BSE-NSEL and Ahmedabad Stock Exchange, Jindal strives to keep up with the ever-changing demands of the fashion industry and exceed customer expectations. With a turnover of Rs 1200 crore (2016-17) that is expected to cross Rs 2000 crore in the current year (2018-19), the company is trying to make a name for itself in the E-Commerce space. Shaped by a highly-motivated team of professionals, Jindal aims to expand its global footprint and take its business to the next level of success. JWL has the most modern facilities across the Textile Value chain right from Spinning to final Home Textiles / Garments. 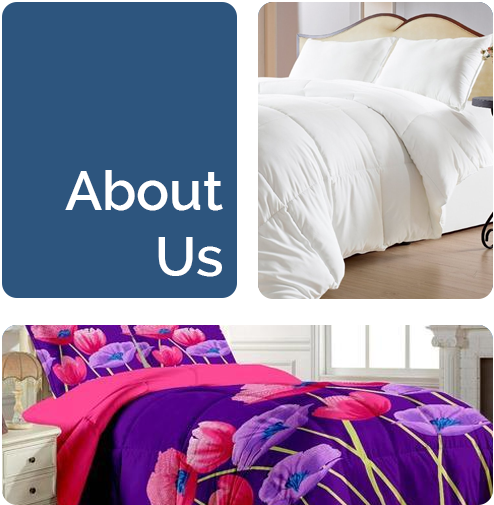 The main objective of our company is establishing us as a market leader in the field of Home Textiles by rendering efficient and effective services with total customer satisfaction. The group has a Government Recognized Export House having one of the largest manufacturing & stitching capacity of Bed linens in India.